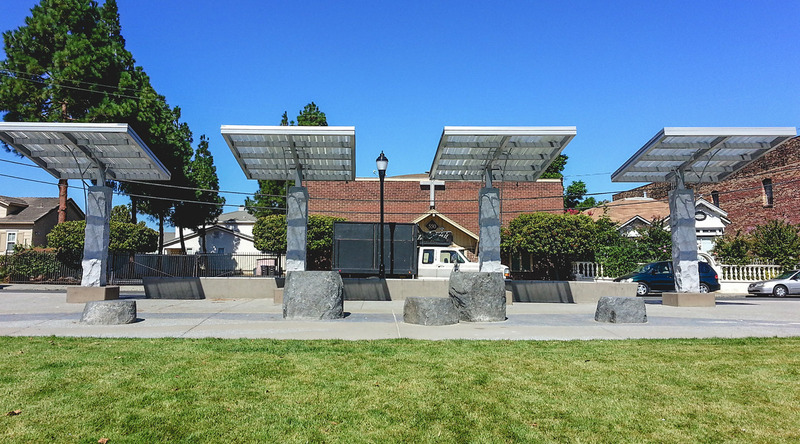 Downtown Pittsburg has been going through a renaissance and the Square is at the heart of the City, providing a vibrant gathering spot for the community. 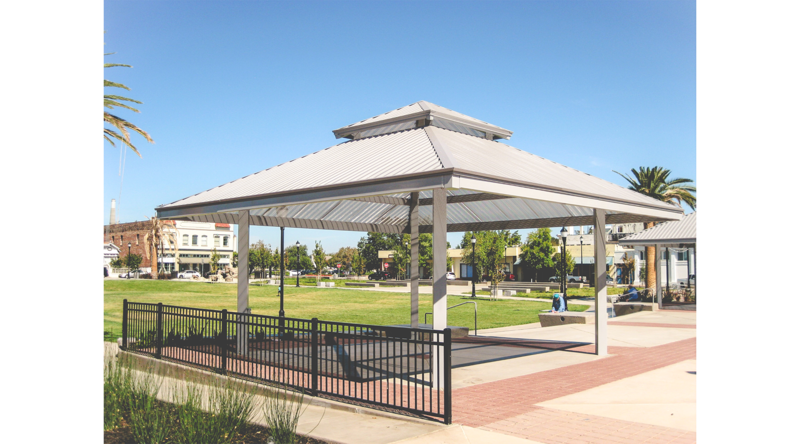 Consisting of multiple shade areas, city visitors can enjoy being in the middle of town while staying cool under the modern pitched roofs of the Marana shelters or traditional Scottsdale model. 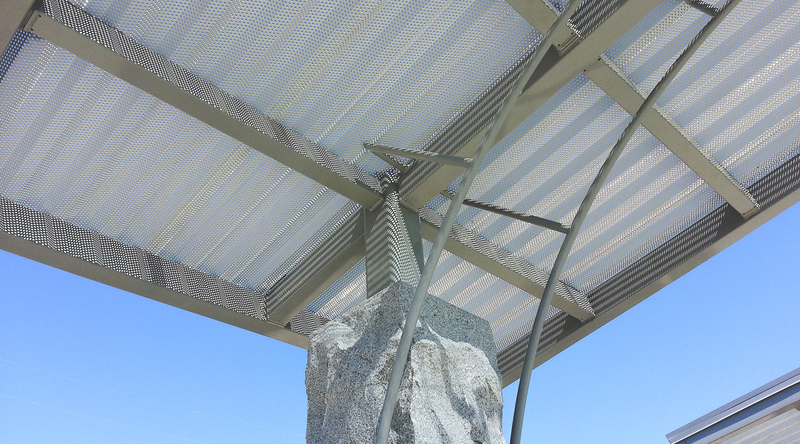 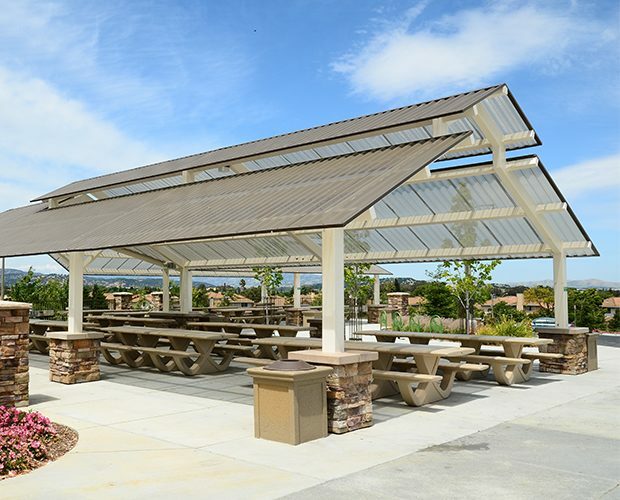 Perforated roofs provide enough shade, while allowing air and sunlight to stream through. 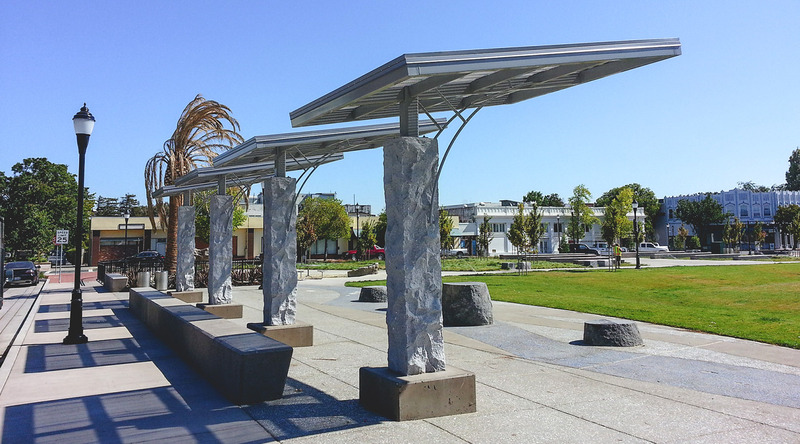 These shade structures have now created a center for festivals, fairs, farmers markets and similar events.